Cut Councillor’s allowances not Council services: Tameside Councillors should work for the community, not for their own benefit. Councillors are paid more than most people in Tameside, yet they increase the Council Tax, while cutting jobs and local services. Demand Council accountability on GMPF investments: The Green Party calls for more transparency over how Tameside Council runs the multimillion pound, Greater Manchester Pension Fund, they should invest ethically and end investment in Fossil Fuels and the Arms industry. Allotments for Ashton now! While Tameside Council continues to fail to provide allotments in Ashton, since 2011, I have managed the Ashton Allotment Action’s development of a Community Orchard and allotments on disused land at Ashton Moss. 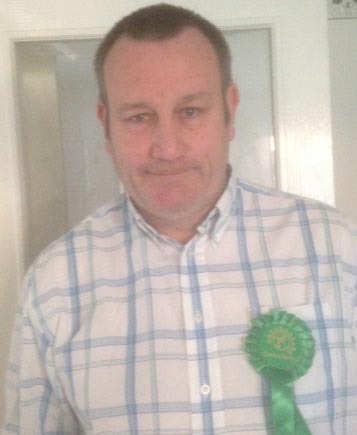 Stop Council victimisation of the poor and vulnerable: The Green Party has opposed Tameside Council’s use of bullying bailiffs to collect Council Tax and the victimisation of unemployed single parents under the troubled families phase 2 programme. 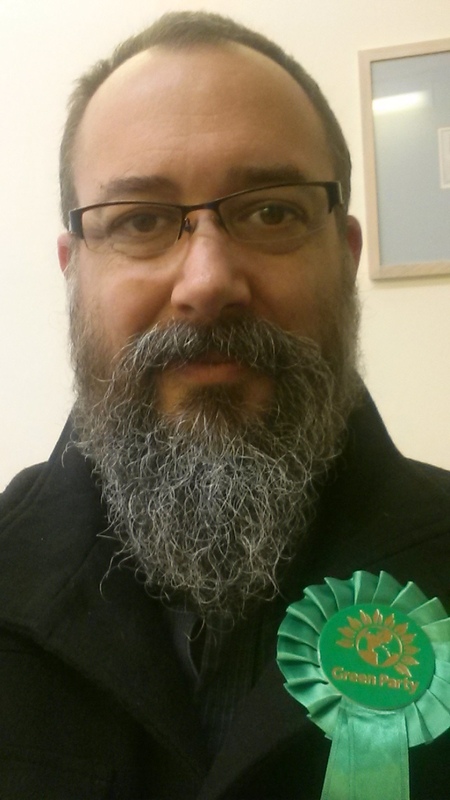 Green Party Candidates work all year round: The Green Party has a record of holding Tameside Council to account on many issues, I will continue to be active all year round – not just at election time. 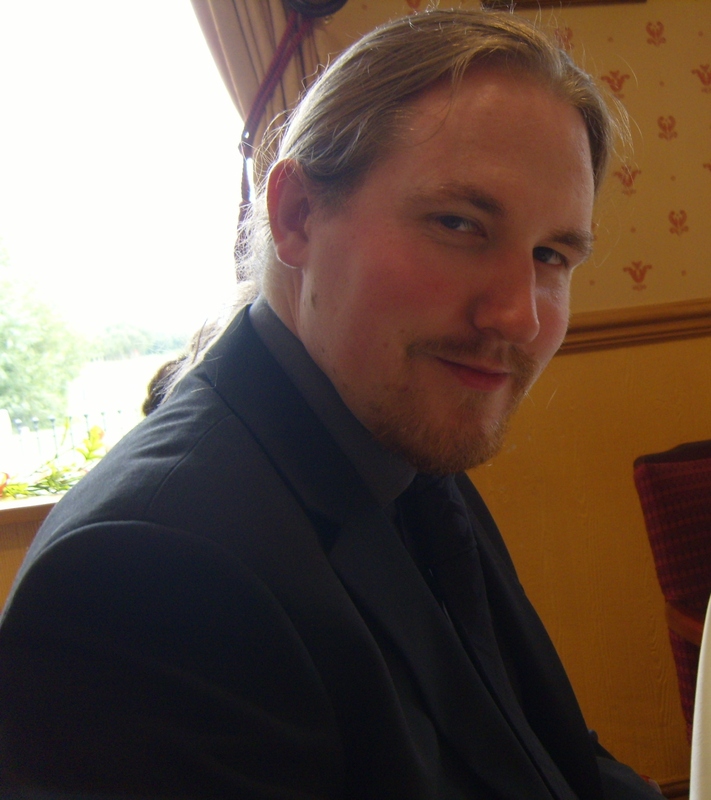 My name is Paul White and I am your Green Party candidate for Stalybridge South, where I have lived since 2001. I worked in Tameside as a primary teacher from 1975 to 2013. Tory ‘austerity’ measures continue to affect Tameside people with even basic services being cut. Our Council has carried many of them out in a way that has had a worse impact than necessary. While the ‘Vision’ rises in the centre of Ashton – on which £40M of the council’s reserves are being spent – Neglect is evident in the centre of Stalybridge, where a pro-active council could do much more to encourage the development of derelict sites. Our policy is to end spending cuts that threaten jobs, social care and local access to culture and recreation. At a local level we will adopt a more coherent strategy in identifying local needs. Transport issues such as rat-running, the wider introduction of 20 mph local speed limits and improvement of bus services need addressing, and we oppose the Governments plan to force all local schools to become ‘Academies’ with no democratic control. Please vote for the Green party on May 5th, against the dead hand of Labour control over Tameside, and against ‘Tory cuts’ enthusiasts at local level. 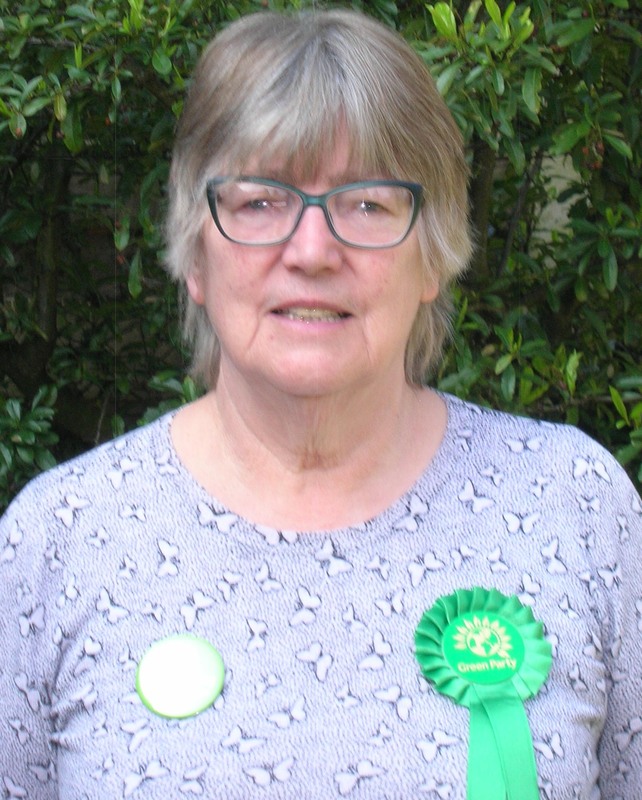 My name is Jean Smee and I am standing for the Green Party in Stalybridge North where I have lived for more than 40 years. The Green Party is committed to localism – to the belief that local decisions should be made by local people. I would push for more power to be given to local councillors and local people, away from the central executive cabinet. Local people know what is best for their area and must have a real say over local developments. They would be able to find solutions to the many derelict sites that blight Stalybridge. I would press for more solar panels to be fitted to public buildings, for new housing stock to be extremely energy efficient and for old housing stock to be fitted with insulation. These measures would create jobs, cut carbon emissions and reduce fuel poverty. Stalybridge is choked with private cars partly because public transport is not easy to use – I would work towards greater availability and integration of buses and trains. The air quality in Stalybridge must be improved to guarantee the health of residents, particularly children. I would push for traffic restrictions and more 20mph streets, without speed bumps, and safer cycling routes designed by local cyclists. Vote Green for a healthier, cleaner Stalybridge looking to a brighter future. I feel proud and very fortunate indeed to stand for my local community in the coming local election. I feel strongly that there is a very real need for change. Change in our values, in our approach to social equality and in our environmental policies. I want to help drive improvements in services, both local and national, and in the way we care for the vulnerable and less privileged. The Green Party would demand changes in the tax system so that the rich pay more, those with less can enjoy some dignity and the council can protect care services, community facilities and leisure and green spaces. I would press for the Greater Manchester Pension Fund, based in Droylsden and chaired by the Leader of Tameside Council, to give up its investments fossil fuels and ensure the fund has no links to tax havens or unethical concerns. I believe that the Green Party offers us a real ray of hope and the opportunity to work together for the common good at a much more local level than present. Local people would know what is needed in their local area – for example they could quickly identify sites for allotments and local food growing and point out derelict sites with ideas for their practical use. standing for the Parish Council. to be fitted with the most innovative solar roof panels. importance to all of us. cross the road and proper space for cyclists. Vote Christine Clark, Vote Green. I am standing for the Green Party in Mossley because I believe that their policies would most benefit Mossley. These include localism: putting power in the hands of local Councillors and local people so that we could say no to new expensive housing developments, polluting industries and big supermarkets. At the moment public transport links are unreliable, overcrowded or infrequent, meaning that people instead choose to use cars. I would promote the availability of and integration of buses and trains as well as developing more cycling lanes. I would campaign for the Greater Manchester Pension Fund, chaired by the leader of Tameside Council, to give up its investments in fossil fuels and ensure that the fund has no links to tax havens. I would push for all new public housing to be energy efficient and for retro-fitting of insulation to existing housing stock reducing carbon emissions, lowering household bills and reducing fuel poverty. Audenshaw has borne the brunt of council cuts and poor decision making for many years – even prior to the cuts to local government that started in 2010. I’m therefore standing for election because I think Audenshaw needs a new, local, Green voice in local government to help make it a great place to live, learn and work. The council’s recent efforts to improve transport infrastructure in Tameside have hardly been felt in Audenshaw. I’ll work hard to make Audenshaw a truly cycle-friendly town. I’d also work with local residents to devise solutions to the numerous longstanding traffic issues in the ward – especially around the Clarendon Road/Audenshaw Road area. I’m very concerned about the significant cuts to local education budgets, and as a trainee primary school teacher I have seen the effect these cuts have had on children and teachers across Greater Manchester. If elected I would oppose any further budget cuts in this area. I’m opposed to the GMPF’s investment in fossil fuels. It is an unsustainable investment approach that will leave both the planet and those who use the pension scheme worse off in the long run. I’d like to encourage more transparency and communication from councillors so they can be held accountable by the residents in the wards they represent. I’d also like to lower the allowances paid to councillors and use the money saved elsewhere. “I have lived in Tameside all my life. I have had the pleasure of living in Newton, Hyde for past twelve years. Sadly, I have observed the relentless centralisation of services and finance which predominantly has been directed to the Ashton-Under-Lyne area, at the expense of other towns in Tameside, such as Hyde. The near decimation of Hyde’s Market which was an historic trading service at the heart of the community. The proposed demolition of the Clarendon Collage building would be another historical irreplaceable building, lost forever. This Council has colluded with the Government, and has made unnecessary cuts in the name of ‘austerity measures\. When will the public stop paying for the mistakes of others? I am certain you are uncertain which political party to vote for – as the others offer much of the same. Have courage to make a real change and a better future for all. The Green Party is the real alternative. VOTE FOR THE GREEN PARTY ! This election is really about the future. The future we wish to give to the next generation, to future generations. I believe that we can make a better future and a better world, but not as we are now. Austerity policies are hurting the people who need help most – the disabled, the poor and our children. The selling off of national parks and green spaces such as Reddish Vale is destroying the beauty of the environment around us. The wholesale sell off of the NHS to corporate interests is destroying our National Health Service – do you believe in this? Or do you believe as I do, that helping others, helping the environment ahead of plundering the earth’s resources, can make a finer world? In Tameside we could invest in renewable energy and leave the natural gas in the ground. If you believe in the things I do, then please, vote Green for the Common Good. Looking back over the last 12 months what has changed to make life here in the Longdendale area better? Do we have any positive movement towards construction of the bypass? NO! Have any new businesses opened up in the area with aid from Tameside Council? NO! Have the potholes in the roads, particularly on Broadbottom Road near to Mottram traffic lights, been repaired? NO! Have the Council members really thought that changes in Ashton town centre will be for the benefit of people who don’t live in Ashton? Apparently, YES! 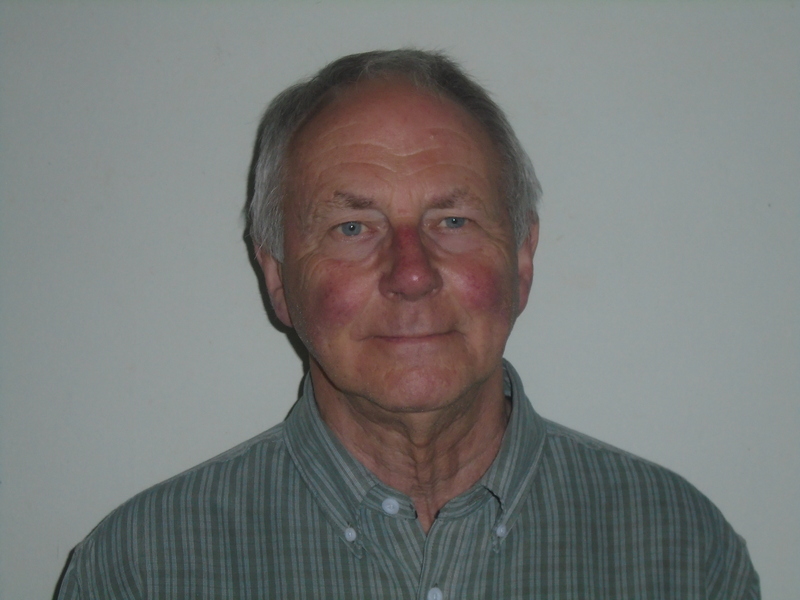 The Green Party can be relied on to consider the whole community and its environment, they LISTEN TO PEOPLE AND RESPOND TO THEIR CONCERNS… can we say the same about our council leaders who are predominantly LABOUR? NO! When was the last time a councillor knocked on your door and discussed with you the concerns you may have ? You may be of the opinion that to vote for the Green Party would be a wasted vote, but the National Green Party is growing in membership because many, many, people are disillusioned with the mainstream parties. Vote for me and put a much-needed Green in local government. I have lived in Greater Manchester for several years, being originally a Midlander! I have also lived for long spells in Yorkshire and Kent. I was a secondary school teacher for nine years but now work in the NHS. I have seen the results of various government policies, both Labour and Conservative, being so detrimental to children’s education, the NHS and public services generally. This has got to stop before it gets to breaking point nationally. In Droylsden itself, where I now live, I would like to see the library moved to the Concorde Centre and a community hub created there. I would deal with the litter problem and try to get the roads repaired properly. No government has seriously safeguarded the environment for the future – fracking will create more problems than it solves and must be avoided at all costs. Animal welfare is also important to me. I joined the Green Party because they look to the future instead of considering immediate financial gains. They also care about people and I just don’t get that feeling from the present government. One issue that would help many people would be for the minimum wage to increase, as it’s impossible to live on this at the moment and pay your everyday bills, particularly if you live on your own. Governmental financial decisions should be made to benefit the majority of the people who live in this country. It just makes sense and is the moral thing to do. Let me give Droyslden a voice. Vote Green on May 5th. I have lived in Tameside for 15 years and stood for Dukinfield for the last 3. Dukinfield has a special significance for me as the town in which my late husband grew up and we married. As your Green Councillor I would work for the Common Good so, for example, insisting on a proper strategy for swimming pools and fitness , for improved local transport, good cycle lanes, the Living Wage and Mindful Employers in the town – working with local businesses, the Council and entrepreneurs to bring more employment to the town. 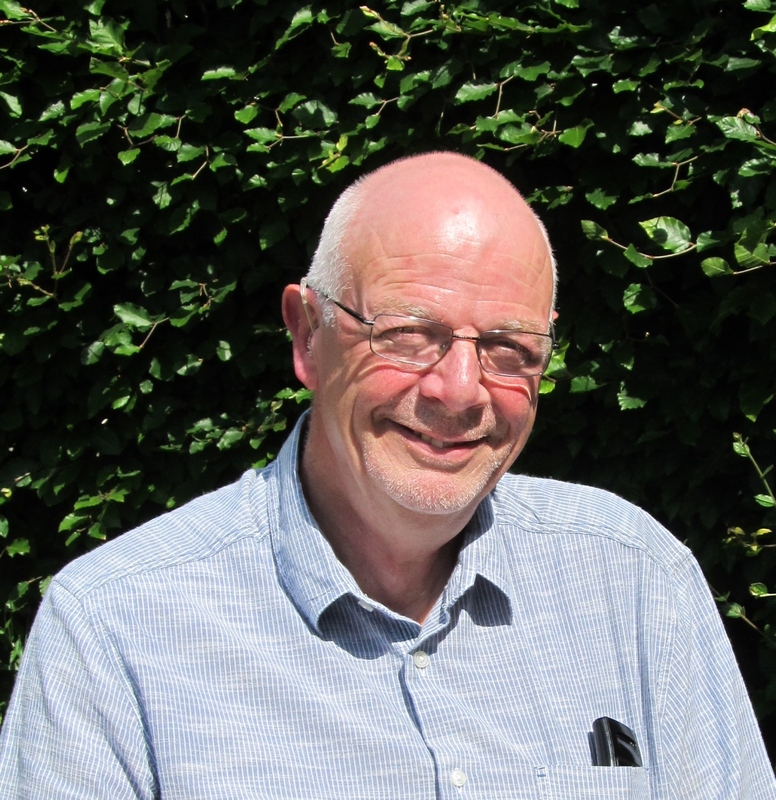 Real power in local hands is important to me and as a Green I oppose the current cabinet system in the Borough Council and aim to increase connectedness with Council and local decisions where possible. I would work to ensure that Tameside’s representative on the Greater Manchester Combined Authority stands firm in arguing and voting for actions which develop the qualities of the borough and of Dukinfield. I am committed to cheap, good energy for everyone, the use of locally generated power, reducing bills, and protecting our planet by cutting our reliance on fossil fuels. Vote Julie Wood Vote Green for a better future. As a Green councillor for St Peter’s I would seek to lessen the effects of austerity which the three grey parties are all signed up to following their agreement to use government money (yours and mine) to bail out incompetent, badly regulated banks. Labour in Tameside have played their part in implementing the cuts, doing nothing to ease its effects on the poorest in society. The council is owed £54m, has investments of £68m and pays councillors, its executive team and 178 of its employees a total of £13m. It sits on £167m of usable reserves.